Looking for art & photography books? Biblio.co.nz hosts hundreds of of the finest online book stores and booksellers, including specialists in art & photography. Use the list below to locate a specific specialist bookseller or book store near you. Or, use the form below to search the inventory of all booksellers who specialize in art & photography. 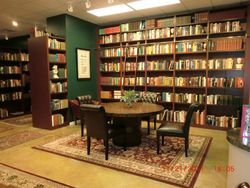 WILLKOMMEN - BIENVENUE - WELCOME .....PELLBOOKS is owned by Karin and Steven Bratone. We have been in business for 12 years and stock over 2000 out-of-print titles in more than 50 catalogs in our own inventory. We specialize in photography, art reference, interior design, architecture and German language books. We also operate a multilingual , world-wide book search service.. We have hundreds of satisfied customers worldwide: from Albuquerque to Zanzibar! We take pride in our individualized and prompt service. Every inquiry and order is handled by an owner and we normally ship every order within 24 hours of receipt and payment! Wir freuen uns dass Sie PELLBOOKS, INC. im Internet gefunden haben. Wir beliefern Kunden aus aller Welt und Sie koennen mit us gerne auch auf Deutsch korrespondieren. Ich (Karin Bratone) bin geborene Oesterreicherin und lebe seit 30 Jahren in New York. Unser Versandantiquariat spezialsiert sich auf Literatur und Geschichte des 20.Jahrhunderts , Architektur/Design, Photographie, Kunst und Kunst Kataloge, , Biographien, Politk, Zeitgeschichte, und vieles mehr. Purpora Books is a full-time business specializing in literature first editions, signed copies, poetry broadsides and fine press. Over 50% of our inventory is devoted to Canadian authors. We are committed to finding and providing our customers the nicest and most interesting copies available. Our bookroom is open by appointment - please phone ahead. 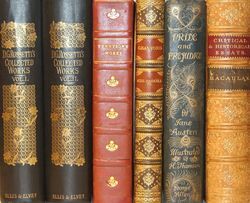 We are always interested in buying books, from single collectible items to complete libraries. 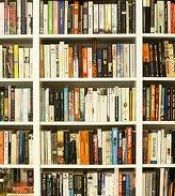 We also have a selection of over 4,000 additional books at Browns Books, a general used book store in north Burnaby near the Vancouver border (3740 Hastings Street).